As a little girl I used to dream about writing a book. Back then, I was sure I’d write incredible characters doing brave things that changed lives. And while my dream of novel writing has yet to be fulfilled, I have had the extraordinary opportunity write and contribute to several nonfiction works. 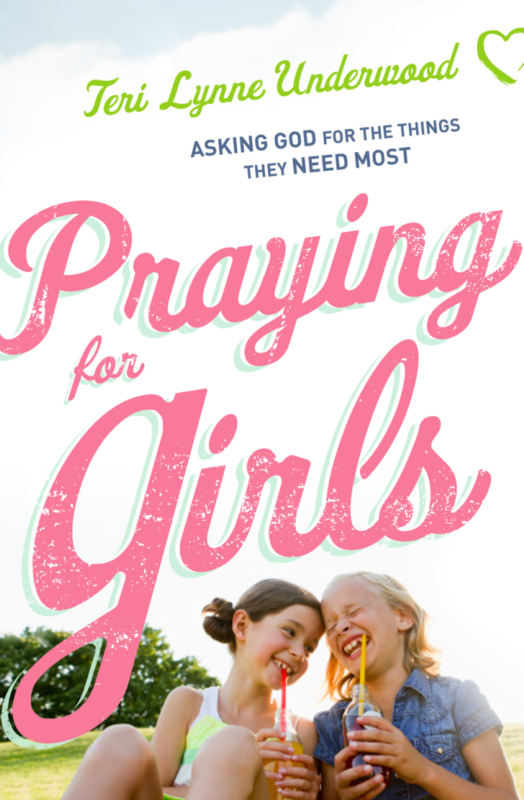 Praying for Girls: Asking God for the Things They Need Most (Bethany House, 2017) is my first traditionally published work. 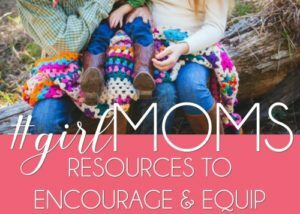 Written for moms like me who aren’t always sure what or how to pray, Praying for Girls contains 200 Bible-based prayers as well as suggested activities and conversation starters, Praying for Girls is a must-have tool in every mom’s arsenal. Available at LifeWay, Barnes & Noble, Amazon, ChristianBook.com, Books-A-Million, and other online retailers. Prayers from the Pews: The Power of Praying for Your Church (self-published, 2012) explores the connection between embracing Scripture, evaluating personal experience, and experiencing the power in praying for your church. Acknowledging the difficulties and short-comings of the “institution of church” while challenging believers to invest in the study of the early church and harness the power of prayer, my desire is to bring voice of hope to the often-hopeless landscape of the modern church experience. Praying the Word is a brand new prayer journal/Bible study series. 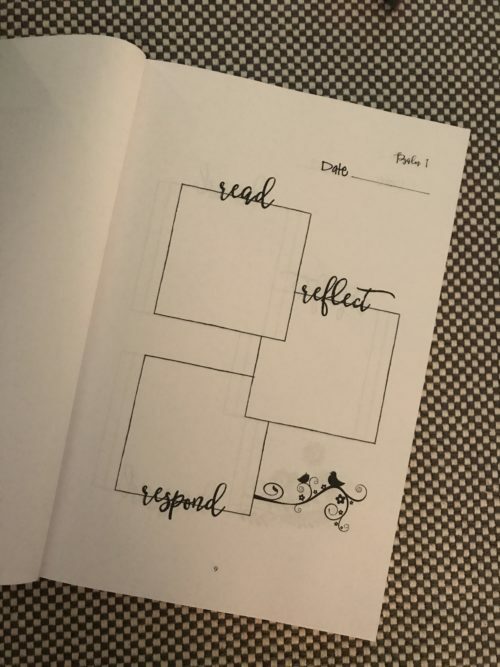 Designed for busy women who want to spend meaningful time in the Word, the Praying the Word series uses the Read*Reflect*Respond method of Bible study to help you dig into a passage and formulate a prayer based on what you’ve read. Volume 1, Psalms and Proverbs, is now available. 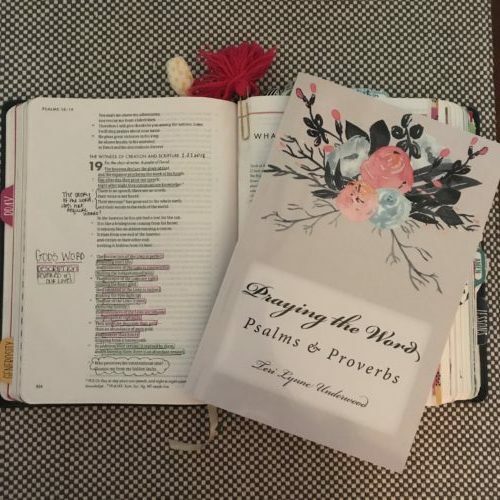 This 181-day journal will take the reader through all 150 Psalms and the whole book of Proverbs, inviting her to examine and apply each chapter. Additional volumes to be released twice annually. 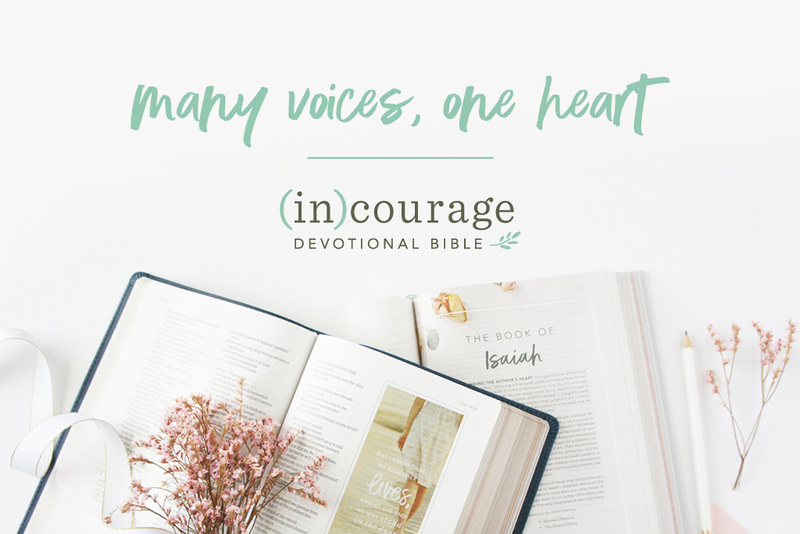 I’m very excited to be a part of this … the (in)courage Devotional Bible! I contributed three devotionals to this beautiful collaborative project. And I have LOVED using this Bible. I had no idea how much having a really pretty Bible would mean to me … but this one is as lovely as it is useful. Part study Bible and part journaling Bible, the (in)courage Devotional Bible also includes ten reading plans which will take you through the whole Bible, giving you a valuable overview of how all of Scripture points to the redemptive story of Christ. 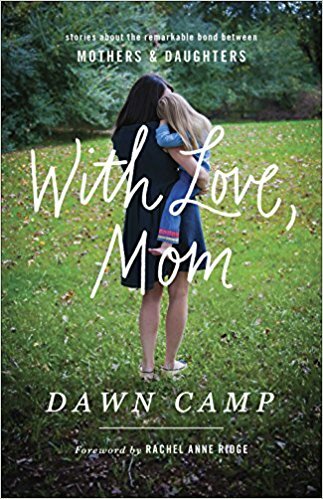 With Love, Mom: Stories about the Remarkable Bond between Mothers and Daughters (Harvest House Publishers, 2018) is a collection of stories from over 30 authors, all curated and compiled by Dawn Camp. As a girl mom cheerleader, it was such a gift to be able to contribute to this incredible book. 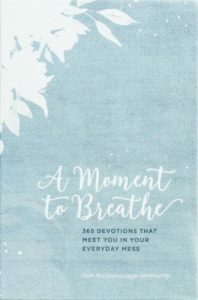 A Moment to Breathe: 365 Devotions that Meet You in Your Everyday Mess (B&H Publishing, 2017) is a beautiful collection of daily devotions from 80 authors in all seasons of life. 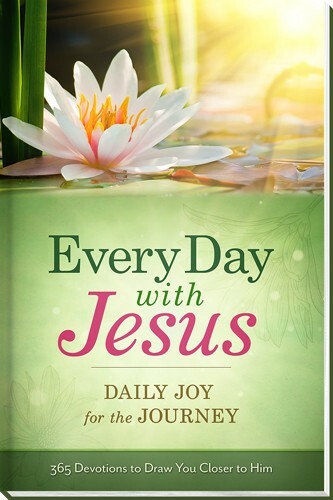 I was honored to contribute five devotions to this book. Available from LifeWay, Dayspring, Amazon, and other retailers. 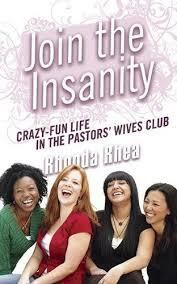 Join the Insanity: The Crazy-Fun Life in the Pastors’ Wives Club (New Hope Publishers, 2014) is a fun but meaningful book for pastors’ wives by Rhonda Rhea. 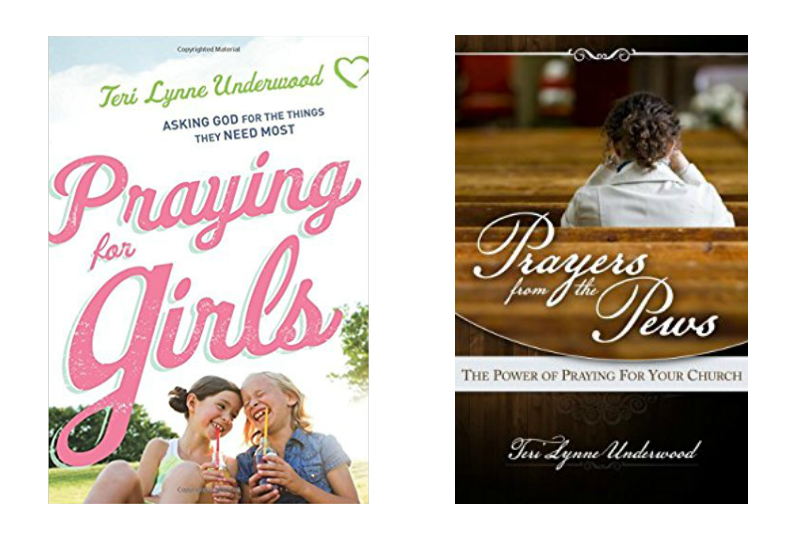 Rhonda invited a few of her pastor’s wife friends to share our stories within the pages. I shared a bit about how we can avoid his and hers burnout in ministry. Available on Amazon and at other retailers. Dear God, He’s Home! 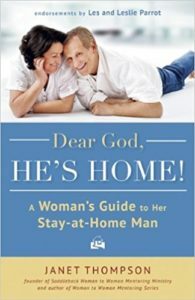 : A Woman’s Guide to Her Stay-at-Home Man (New Hope Publishers, 2013) offers encouragement to the woman whose husband is newly at-home for reasons such as retirement, disability, etc. Janet Thompson is a writer and ministry leader I have long admired and it was my great privilege to share 10 Ways to Speak Well of Your Husband in this excellent book.